If the economy runs out of steam in the next year or two – and maybe even falls backwards – with unemployment climbing rapidly, there'll be plenty to share the blame: federal and state governments, federal and state Treasuries, and the utterly discredited credit-rating agencies. The one outfit that will deserve little blame – but will get plenty – is the Reserve Bank. It shouldn't be criticised because it's had its monetary accelerator close to the floor for ages. The official interest rate has been at or below 2.5 per cent for almost two years, but growth in real gross domestic product has remained stubbornly below trend. If the economy does run out of puff it will be for a reason macro-economists have known was a significant risk for several years: the mining construction boom – which at its height accounted for about 8 per cent of GDP – is now rapidly coming to an end, with little likelihood that non-mining business investment (or anything else) will be strong enough to fill the vacuum it's leaving. It's possible the Abbott government's surprisingly poor management of the economy is damaging business confidence, but the more powerful reason business isn't investing is simply that it has plenty of spare production capacity and doesn't see that expanding its capacity would be profitable. So what can we do to reduce the risk of the economy losing momentum? It ought to be obvious. The Reserve has been dropping hints for months and earlier this month governor Glenn Stevens came right out and said it. Fiscal policy – broadly defined to include state as well as federal budgets – needs to be pushing in the same direction as monetary policy (interest rates), not pulling against it. As Stevens pointedly noted, "public investment spending fell by 8 per cent over the past year". Breaking down that contraction, it was caused by the states, not the Feds, with NSW by far the greatest offender. I suspect its poles-and-wires businesses have slashed their investment spending (no bad thing), with general government failing to take up the slack for fear of losing its precious AAA credit rating. So much for all last week's boasting about record infrastructure spending. All this may have escaped the notice of Joe Hockey and his state counterparts – not to mention their federal and state Treasuries – but last week's statement by the International Monetary Fund's review team gave it top billing. "The planned pace of [budgetary] consolidation nationally (Commonwealth and states combined) ... is somewhat more frontloaded than desirable, given the weakness of the economy, the size and uncertainty around the resource boom transition and the possible limits to monetary policy," the statement says. "Increasing public investment (financed by more borrowing rather than offsetting measures) would support aggregate demand [GDP] and ensure against downside risks." Hint, hint. "It would also employ [construction] resources released by the mining sector, catalyse private investment, boost productivity, take advantage of record-low borrowing rates, and maintain the government's net worth." Oh, that's all. "Indeed, IMF research suggests that economies like Australia – with an output gap [spare production capacity], accommodative monetary policy and fiscal space – benefit most from debt-financed infrastructure investment, with the growth boost largely containing the impact on the (low) debt-to-GDP ratio." The statement says the Feds should broaden the scope of investments they support – which may be, and certainly ought to be, a hint that they should be supporting urban public transport projects, not just yet more expressways. And as well as direct funding, the statement says, the Feds could consider guaranteeing states' borrowing for additional investment, which "would keep accountability with the states but reduce their concerns about credit ratings". That's one way to overcome the state governments' obsession with the credit ratings set by outfits that contributed greatly to the global financial crisis by granting AAA ratings to securities ultimately written off as "toxic debt". State governments are letting these operators decide what's responsible and what's not? It's time state Treasuries stopped paying these characters to set arbitrary limits on borrowing for infrastructure spending, and state governments stopped putting retention or restoration of their AAA-rating status symbol ahead of their duty to provide their states with adequate infrastructure. As for the Feds, Treasury should make it easier for its political masters to walk away from all their debt-and-deficit nonsense by abandoning its age-old objection to distinguishing between capital and recurrent spending. These two artificial Treasury disciplinary devices – bulldust credit ratings and pretending all federal spending is recurrent – threaten to cause us to slip into an eminently avoidable recession. If that happens, we'll know who to blame. As any economist will tell you, it's all very well to care about "fairness" – whatever that is – but efforts to reduce the inequality of incomes in the economy usually come at the cost of lower economic efficiency. So if you insist in reducing inequality you'll have to settle for slower economic growth. Much better to put up with inequality and enjoy a faster rise in our average material standard of living. For decades that's been the economics profession's conventional wisdom on the question of inequality. But, next time some economist assures you of all that, it will be safe to assume they're not keeping up with the research. Either that or they prefer sticking to their long-standing political preferences rather than changing their views in line with the empirical evidence. That's the point: the economists' age-old assumption that "equity" (fairness) and efficiency are in conflict – that more of one means less of the other – fits with their theories, but is now being contradicted by empirical studies, many of them coming from such authoritative institutions as the Organisation for Economic Co-operation and Development and the International Monetary Fund. Last year staff at the fund published a study finding that income inequality between households, as shown by an overall measure such as the "Gini coefficient" – which is zero when everyone has the same income, rising to 1 when one person has all the income – adversely affects economic growth. Last week the fund's staff published a new study building on this analysis by looking at the experience of people in different positions at the bottom, middle and top of the distribution of incomes, in almost 100 advanced and developing countries over the 22 years to 2012. The new study confirms that a high Gini coefficient for net income (income earned in the market, less taxes and plus government cash benefits) is associated with lower growth in real gross domestic product over the medium term. But it also finds an inverse relationship between the size of the income share going to the rich (defined here as the top 20 per cent of households) and the speed at which the economy grows. If the income share of the top 20 per cent increases by 1 percentage point, GDP growth is 0.08 percentage points lower in the following five years, suggesting that the benefits do not "trickle down" to the rest of us. By contrast, if the income share going to the poor (the bottom 20 per cent) increases by 1 percentage point, GDP growth is 0.38 percentage points higher in the following five years. The paper's authors quote other studies to help explain why higher income shares for the poor and middle class are growth-enhancing. They note research showing that higher inequality lowers growth by depriving lower-income households of the ability to stay healthy and accumulate physical capital (a home, a car, a heating system) and human capital (education and training). "For instance, it can lead to underinvestment in education as poor children end up in lower-quality schools and are less able to go on to college," they say. "As a result, labour productivity could be lower than it would have been in a more equitable world." Other research finds that countries with higher levels of income inequality tend to have lower levels of mobility between generations, with parents' earnings being a more important determinant of children's earnings. As well, increasing concentration of income at the top could reduce total demand (spending), and so undermine growth, because the wealthy spend a lower fraction of their incomes than middle and lower-income groups do. "Extreme inequality may damage trust and social cohesion and thus is also associated with conflicts, which discourage investment," the authors say. Inequality affects the economics of conflict as it may intensify the grievances felt by certain groups or reduce the opportunity cost of initiating and joining a violent conflict. If you're poor you've got less to lose. So what should governments that want faster economic growth be doing to promote it? "Redistribution through the tax and transfer [welfare benefits] system is found to be positively related to growth for most countries, and is negatively related to growth only for the most strongly redistributive countries," they say. "This suggests that the effect of stability could potentially outweigh any negative effects on growth through a dampening of incentives." The redistributive role of the budget "could be reinforced by greater reliance on wealth and property taxes, more progressive income taxation, removing opportunities for tax avoidance and evasion, and better targeting of social benefits while also minimising efficiency costs in terms of incentives to work and save". "In addition, reducing tax expenditures [tax breaks] that benefit high-income groups most and removing tax relief – such as reduced taxation of capital gains, stock options and carried interest – would increase equity and allow a growth-enhancing cut in marginal labour income tax rates in some countries." Then there's the reform of the labour market. "Appropriately set minimum wages, spending on well-designed active labour market policies aimed at supporting job search and skill matching can be important." "Moreover, policies that reduce labour market dualism, such as gaps in employment protection between permanent and temporary workers – especially young workers and immigrants – can help to reduce inequality, while fostering greater market flexibility. "Labour market rules that are very weak or programs that are non-existent can leave problems of poor information, unequal power and inadequate risk management untreated, penalising the poor and the middle class,' they say. Sounds like our economists have a lot to learn. If you're ever tempted to doubt that the world is run by older people who organise things to suit themselves and don't worry about any blowback on the young, consider how commonly employers resort to the practice of "natural attrition". It's something businesses do when times are tough. They could lay off workers, but they choose a more considerate path: just stop hiring any new people, including replacing people who leave, and eventually get your numbers down to where you need them. And all the oldies breathe a sigh of relief. Problem solved in the nicest possible way. Except for one little thing: the oldies have just passed the buck to some unknown bunch of young people. What causes natural attrition to get quick results is the decision to abandon the annual intake of young people at the entry level. Kids complete their education bright-eyed and bushy-tailed, only to discover the world of work doesn't want them. It might take them a year, even 18 months, to get a proper, full-time job. That can be terribly dispiriting. It's common at such times for young people to be caught in a trap where they can't get a job because they lack experience, but they lack experience because they can't get a job. It's an appalling thing for the rising generation to get off on such a wrong foot. It can take years to recover, if you ever do. At the time of the global financial crisis in late 2008 and 2009, we were all hugely relieved when, as it turned out, we escaped serious recession. The official rate of unemployment rose from 4 per cent to just 5.8 per cent before falling back. We were all off the hook. Well, only the oldies. The truth is there was a sharp downturn and employers did react by going into natural-attrition mode, with some even moving briefly to four-day weeks. Great. What few people noticed was that much of the burden of adjustment was shucked off on to that year's crop of education leavers. How much concern for their welfare? Not a lot. We do hear a lot about the trouble some older people find in regaining employment should they lose their jobs. It's a genuine problem and one we should care about. But the unemployment problems of the old seem to attract a lot more public attention – and sympathy – than the similar problems of the young. Research by the Brotherhood of St Laurence using HILDA – the household income and labour dynamics in Australia survey – finds those aged 55 and over account for just 8 per cent of the unemployed, whereas those aged under 25 make up more than 40 per cent. So unemployment is concentrated among the young. And, historically, the sad truth is it's concentrated among the less educated and less skilled. In the modern technologically driven workforce, there are many fewer jobs for people who quit school early and for those who don't acquire post-school trade or tertiary qualifications. What unskilled jobs remain tend to be casual and occupied by university students or mothers. In 2008, according to the Brotherhood's figures, 45 per cent of the unemployed had failed to complete year 12, with another 20 per cent having gone no further than year 12. That's almost two-thirds. People with trade qualifications made up just 16 per cent of total unemployment, with those with university qualifications accounting for an unusually high 19 per cent. In more recent years, unemployment has been rising slowly while, within that, the rate of unemployment among 15 to 24-year-olds has risen more rapidly. Among those teenagers who are either in jobs or actively seeking them, the rate of unemployment earlier this year was 20 per cent. But now get this: by 2012, according to the HILDA survey, the proportion of the unemployed with uni qualifications had jumped to 25 per cent. To me, that's easily explained: years of weak growth in the economy are leading many employers to engage in natural attrition, which is limiting job losses among established workers, but making it much harder for university leavers to find work. Governments can't be blamed for the employment practices of businesses, but they can be held accountable for their punitive treatment of the young unemployed – even if they are reflecting the adult world's lack of sympathy for youthful job seekers. Oldies seem convinced that the young's only problem is that they don't want to work and so need to be starved back to the grindstone. The dole has been allowed to fall way below the age pension so that it's now less than $260 a week for a single adult. The "youth allowance" is even lower. Now the ever-so-caring Abbott government wants to raise the age of adulthood from 21 to 25 and extend the non-adult waiting period from one week to four weeks. And that's before we get on to the way successive governments' high immigration policy is allowing employers to neglect the training of young workers. Why young voters cop this cruddy deal so meekly I don't know. Something tells me that when Mike Baird went to Sunday school he studied fully the story of Joseph (he of the lairy sportscoat) and Pharaoh's dream about seven fat years being followed by seven lean years. Joseph's advice to Pharaoh was to save like mad in the fat years and use the proceeds to tide the Egyptians over the lean years. It seems Baird and his Treasurer have taken that advice to heart. With property booming, the government's revenue from conveyancing duty has doubled in the past three years to more than $7 billion a year, with Treasury predicting further growth of 12 per cent in the new financial year, a forecast that could easily prove too cautious. So Gladys Berejiklian's "barns" are full to overflowing, with operating surpluses stretching as far as the eye can see. And yet she is maintaining a tight rein on government spending (for which read public sector wage rises). Though it's possible to point to some wasteful spending – subsidies to the thoroughbred racing industry, grants for real estate development by church-owned schools, and an excessive share of infrastructure spending going to rural areas to buy off the Liberals' country partners – the government's case for hanging tight is persuasive. But, urged on by Treasury, the government is full of forebodings about revenue threats looming on the horizon, a good reason to save rather than consume in the good years. For a start, the property boom won't go on forever, and the longer it lasts, the bigger the ultimate budgetary hangover. For another thing, while it was nice to get our cut of Western Australia's mining royalties windfall from the resources boom, in the form of a higher share of national collections of the goods and services tax, now it's WA's turn to get a cut of our property boom windfall via the same mechanism. Once the state's poles-and-wires businesses have been partially sold off, Treasury will be getting a smaller flow of dividend income, but that would have happened anyway now the national electricity price regulator has belatedly stopped those businesses from overcharging us (while their state government owners looked the other way). Perhaps the greatest threat of lean years to come is Tony Abbott's plan, announced in last year's budget from hell, to cut federal grants to public schools and hospitals by $80 billion over 10 years from 2017. NSW would cop about 30 per cent of the cuts. Berejiklian says they would be "unsustainable" and she's right, meaning they're a bigger problem for the Feds than for her. They're just the last bit of 2014 political stupidity remaining on Abbott's backdown to-do list. Berejiklian claims the credit for NSW growing faster than the rest of Australia, after lagging in the years before the Coalition returned to office. But it's a swings-and-roundabouts thing. Does she really want us to believe it was she who brought the mining construction boom to a halt? Or she who cut interest rates to record lows? At least she'll be ready for the next downswing in our fortunes. Tony Abbott did so well at the last election with his scare campaigns against the carbon tax and the mining tax it seems he thinks his best chance of re-election is another scare campaign on tax. An obvious conclusion from voters' overwhelming rejection of last year's budget as unfair was that the attempt to fix the deficit almost exclusively by cutting government spending - without touching any of the "tax expenditures" on the revenue side of the budget - was crazy. So it wasn't surprising to see, a few weeks back, Joe Hockey edging towards the idea that repair of the budget would have to involve reform of the hugely generous superannuation tax concessions to the well-off. With Labor making similar noises, Hockey might even eventually have edged as far as promising to do something about the "negative gearing" loophole, had Abbott not stepped in and stopped him in his tracks. Why? Because Abbott thought he saw a brilliant opportunity to wedge Labor. If Labor was promising to fix super tax concessions and negative gearing, why not promise the Coalition wouldn't touch 'em? That way, Labor could be portrayed as the party of high taxers, whereas the Liberals could portray themselves as the party committed to lowering taxes, implacably opposed to all tax increases. If you want to pay much higher taxes, vote Labor; if you don't, vote for us. Not bad, eh? Abbott has telegraphed his game plan so clearly it will be interesting to see if Labor keeps its nerve and offers voters a genuine alternative. But Abbott's claim to be opposed to all tax increases is not one to be believed. As the former top econocrat Dr Michael Keating has pointed out, this year's budget shows increased taxation is expected to be the main way the government is planning to get the budget deficit down. In the Labor government's last year, 2013-14, total federal government revenue (including more than just tax collections) was equivalent to 22.8 per cent of gross domestic product. In the coming financial year it's expected to have risen to 24 per cent. And by 2018-19 it's supposed to be 25.2 per cent. So the government is projecting that revenue will rise by 2.4 percentage points of GDP over the five years. At the same time, the budget deficit is projected to fall by 2.7 percentage points. "Clearly," Keating writes on John Menadue's blogsite, "these figures show that revenues are doing almost all the work to reduce the budget deficit". Government spending is expected fall by only 0.3 or 0.4 percentage points of GDP over the five years. So what's the story? Where will Abbott be getting all this extra revenue from? Does he have some new tax hidden up his sleeve? Is he counting on a big increase in the GST? Well, some part of it will come from the changed accounting treatment of the annual earnings on the Future Fund. But, for the most part, it will come from what, in an earlier chapter of the Libs' professed campaign for lower taxes, Malcolm Fraser and John Howard used to call "the secret tax of inflation". These days it's more commonly called "bracket creep" - as your income rises over time to (you hope) at least keep pace with the higher prices you're paying, a higher proportion of it is taxed at higher rates. This happens even if you aren't literally pushed into a higher tax bracket, but it happens with a vengeance if you are. Keating says receipts from personal income tax are projected to increase from 10.4 per cent of GDP in 2013-14 to 12.1 per cent in 2018-19, and this increase of 1.7 percentage points is a rough measure of the contribution of bracket creep to the budget bottom line. According to his figuring, bracket creep will account for 63 per cent of the projected improvement in the budget deficit over the five years to 2018-19. But how politically realistic is such a projection? Already it implies that someone on average weekly earnings can expect to move into the second-highest tax bracket in the coming financial year. They'd be paying 39c in the dollar on the last part of their income and on any pay rise. Keating says that, according to the budget projections, someone on average earnings would see their average tax rate (the rate paid on every dollar) rising from 21.7 per cent to 27.4 per cent over the next decade. Don't worry, it's unlikely any politician would allow that to happen. But it does warn you not to believe Abbott's claim to be a low taxer. Perhaps the biggest question in macro-economic management today is whether monetary policy has lost most of its power to get the economy moving. To many of us the answer seems obvious. But this week a Reserve Bank heavy popped up to challenge the newly emerging consensus. Whether you look at the way the major developed countries' resort to massive "quantitative easing" (creating money) hasn't exactly got their economies booming, or at the way our big cuts in the official interest rate haven't seen us return even to average ("trend") growth, it makes you doubt if "monetary policy" - the manipulation of monetary conditions - still packs a punch. Consider our story. The Reserve Bank began cutting the official interest rate as long ago as November 2011. By August 2013 it had reduced it by 2.25 percentage points to a historic low of 2.5 pc. This year it's made more cuts to 2 per cent. And yet the economy continues growing below trend and isn't expected to return to healthy growth before 2016-17. Enter Dr Christopher Kent, an assistant governor of the Reserve. In his speech this week he didn't deny the facts: interest rates have been very low for a long time without there being any noticeable pick-up in growth. But he did dispute the conclusion that this meant monetary policy had lost its power to stimulate economic growth. His point is that when we look at the position in the way I've just done, we're implicitly assuming "ceteris paribus" - that all else remained equal while the only thing that changed was the level of the official interest rate. Obviously, a lot of other things changed over the period. To take just the most obvious examples, the big fall in coal and iron ore prices, the movement in the dollar and the impact of "fiscal policy" - the effects of the federal and state budgets. To try to take account of all the things that change, not just interest rates, you need to use a sophisticated econometric model of the economy. And when Kent's people at the Reserve do this, their estimates "tentatively suggest that the overall effect of monetary policy has not changed significantly in recent years". Such models have two kinds of variables "exogenous" and "endogenous". Exogenous variables are set by the modeller, whereas endogenous variables are determined by the model and its assumptions about how the economy works. Kent says that in modelling work using a "dynamic stochastic general equilibrium" model (don't ask), estimates of the endogenous relationships based on the figures up to 2008 (the time of the global financial crisis) are about the same as estimates based on figures since then. "This suggests that the period of below-trend growth in gross domestic product over the past few years may not reflect a change in the monetary policy transmission mechanism," he says. "Rather, the model attributes below-trend growth to sizeable exogenous forces or shocks. The sharp fall in commodity prices has played an important role of late. Also, weakness in private investment - beyond that which can be explained by subdued domestic demand and falling commodity prices - has made a sizeable contribution to below-trend growth." I think here he's alluding to the adverse effect on business investment of the still-too-high dollar. "The model also suggests that consumption growth has been a bit weaker than in the past," he says. Measuring the effects of monetary policy in isolation from other changes that may be happening at the time, this modelling tells us that a cut in the official interest rate of 1 percentage point will lead the level of real GDP to be between about 0.5 per cent and 0.75 per cent higher than it otherwise would be in two years' time. It will also lead the level of prices to rise by a bit less than 0.25 percentage points a year more than otherwise over the next two to three years. Of course, one part of the economy that has strengthened in response to low interest rates is housing construction. It's up by about 9 per cent over the past year. Kent says housing is typically the most interest-rate sensitive sector and its response to date is "broadly consistent with historical experience". Consumer spending, however, has so far been "a bit weaker over recent years than suggested by historical experience". But much of that history captures the unusual period, from the early 1990s to the mid-2000s, of adjustment to the easier access to housing credit permitted by the deregulation of the banks and to the economy's return to low inflation. In that period, household debt increased substantially and household saving fell to rates much below earlier norms. This allow households' consumption spending to grow faster than their incomes. Since then, however, households' behaviour has reverted to its earlier norms, with a higher rate of saving and greater emphasis on repaying mortgages as early as possible. If you ignore the growth in borrowing for investment property, but take account of the rising balances in mortgage offset accounts, the rest of household debt has fallen by 4 percentage points of annual household disposable income since early 2000. Kent thinks many households are using the lower rates to repay their mortgages more quickly (rather than to borrow and spend more) and that some retired households are responding to their lower interest income by limiting their consumption. As for non-mining business investment, businesses will start expanding their activities when they're closer to running out of spare production capacity. Business investment doesn't usually lead, it follows. Kent concludes that monetary policy is working pretty much the way it always has, but is pushing against "some strong headwinds", including the huge fall-off in mining investment, tightening budgets at state and federal level and an exchange rate that's still higher than you'd expect it to be considering how far export prices have fallen. When I see the way the Abbott government – like its Labor predecessor – happily presides over a system stacked against the younger generation, it makes me wonder why they're not rioting in the streets. Answer is, it's thanks to the evil genius of our politicians. Young people tend to be more idealistic than those of us who've lived longer and seen more. So when they see the low level to which standards of political behaviour have fallen – the promises so casually broken, the lies told, the way the pollies profess to care about the welfare of the next generation but don't walk the walk – they're even more inclined than the rest of us to turn their back on politics and public policy. Which means, of course, that most young people have only a vague inkling of the extent to which successive governments have been screwing them. The pollies' problem is that they'd love to please everyone, but don't have sufficient resources. So they have to short-change someone, and the victims they pick – apart from those who have no friends to stick up for them – are the people who aren't paying attention to what the pollies are up to. The people who pay most attention are the oldies – whose number is being swelled by the retiring Baby Boomers – who have so little else to worry about they even imagine injustices that aren't real. The great majority of oldies own their own homes, but other home owners are equally zealous in protecting their privileges. This is the most topical instance in which governments are allowing the old to screw the young. Apart from the fact that our homes get bigger and better over the years, house prices rise when the demand for them exceeds their supply. Both sides of politics believe in high levels of immigration, but haven't bothered to ensure sufficient additional homes are being built to accommodate the growing population. So reducing impediments to the building of additional homes – mainly a responsibility of the state governments – is the fundamental solution to the problem of housing affordability. But distortions in our tax laws – distortions other countries long ago corrected – are adding unnecessarily to the demand for houses by making them a tax-preferred form of investment. This is "negative gearing", which means first home buyers are having to compete against well-established older investors with a lot more collateral. It wouldn't be a problem if negatively geared investors were adding as much to supply as they are to demand, but they prefer buying established homes. The government could easily fix this distortion, and do it in a way that didn't precipitate an immediate exodus of investors from the market but, to date, neither side has been prepared to do so. Why not? Because the pollies are much more afraid of the anger they'd arouse among oldies benefiting from the tax lurk – and all the business people who see themselves as getting a cut of the proceeds – than they are of all the young people who don't quite understand how they're being worked over by their elders. The fact is that the rate of home ownership – which once was as high as 70 per cent – is steadily falling as higher and higher proportions of people in younger generations fail to make it onto glittering merry-go-round of owner-occupation. So, having got themselves ensconced on the merry-go-round, the older generation and the politicians in thrall to it are now effectively repelling boarders. This means a high proportion of the younger generation will be renters all their lives, including in retirement. And that means they'll get screwed by the system which, in the name of encouraging home ownership, has always been loaded against renters. For a start, our tenancy laws afford renters less security of tenure and fewer rights than in European countries where life-long renting is the norm. But tax and benefit arrangements also discriminate against renters. Invest in your own home and you escape paying capital gains tax when you sell it; invest in anything else and you don't. Own your home when you retire and its value, no matter how high, is excluded from the assets test in assessing your eligibility for a full pension; choose to save in any other way and you're zapped. This crazy arrangement discourages the old from selling the family home and moving to something smaller and more appropriate. The truth is, living on the age pension is bearable provided you own your home. In other words, the people who have most trouble getting by on the pension are those obliged to rent in the private market. When Kevin Rudd inquired into the adequacy of the age pension he was told it was really only the private renters who had a big problem. He ignored the report, granting a big increase to single pensioners regardless of their housing status, plus a smaller increase to people on the married rate so they wouldn't feel left out. All this is of little interest to young people, of course. They know they're never going to get old. If I were a youngster I mightn't be rioting in the streets, but I certainly wouldn't be voting for any party that wasn't promising to fix negative gearing. If you're more afraid of greedy oldies than you are of me, I'll be voting against you. Thanks to abuses by both sides, it's hard to remember a time when standards of political behaviour have sunk to lower depths. The budget papers are no exception to that general decline. Some of the tricks used to mislead us are so technically tricky it's hard to believe they could have been thought up by the politicians themselves or their youthful private advisers. I suspect the econocrats are complicit in providing their masters with fancy tricks, though it's more likely to be the accountants in Finance than the economists in Treasury. The worst example of that was the attempt in last year's budget to use a "medical research future fund" to allow the government to break its promise not to cut health spending while pretending it hadn't. The Labor government's greatest offence was to conceal the pace at which its spending was growing - and its ever-growing inability to pay for its expensive new programs - by claiming it was sticking to its policy of limiting real spending growth to 2 per cent a year "on average over the forward estimates". That proviso allowed it to claim spending was under control: every year the lack of restraint in the budget year would be made up for by super-human restraint in the later years. After Labor departed, the econocrats dubbed this the "magic asterisk" budgeting device. The present government's greatest crime was to exaggerate the size of the budget deficit it inherited from Labor by claiming some of its own policy decisions were part of what Labor left it with. Its unrequested $8.8 billion transfer to the Reserve Bank - essentially a book entry - was only the worst of its fiddles. In accordance with Peter Costello's charter of budget honesty act, the honest account of what Labor left for its successors was given in the pre-election fiscal outlook issued by the heads of Treasury and Finance. But at the time of the Coalition's mid-year budget review months later, Joe Hockey claimed its figures to be the "line in the sand" separating Labor's legacy from his own efforts. One small problem: the mid-year review incorporated the budgetary effects of all the Coalition's election promises, including its decisions to abolish the carbon and mining taxes. Then we find this utterly dishonest claim formally incorporated into this year's intergenerational report, turning that document into grubby political propaganda. One element of Costello's move to budget honesty - if you need an act of parliament imposing budget honesty, you clearly have an honesty problem - was to stop governments hiding the true extent of their deficits by including proceeds from the sale of assets, which he did by shifting the focus to the "underlying" cash budget balance. Fine. But there was a loophole in the way the underlying deficit was defined, and successive governments have exploited that loophole so as to continue misleading us. Labor went for years refusing to disclose the items explaining the difference between the "headline" and underlying deficits. But thanks to a deal the Greens did with this government, this information is now published each year in budget statement 3. Over the five years to 2018-19, the cumulative headline deficits are expected to exceed the underlying deficits by more than $68 billion, before allowing for future fund earnings of $18 billion. The gap is explained mainly by the expected build-up in HECS debt of $49 billion, but also by $21 billion in further spending on the National Broadband Network, which is really infrastructure spending, but is excluded from the underlying deficit because it was set up as an equity investment in a business separate from the budget. This trick - which, like all exploitation of loopholes, is technically in accordance with the rules - was initiated by Labor, as was the (reasonable) decision to switch future fund earnings back into the underlying budget balance from 2020. Just as well, since they're expected to make up such a high proportion the small surpluses projected from that time. A final respect in which governments use the budget papers to mislead and conceal is the arbitrary exclusion of particular tables or graphs when they could prove embarrassing. Last year's unfair budget just happened to exclude the customary "cameos" showing how particular family types would be affected by the budget's welfare changes. This year the graphs (and their underlying numbers) for revenue and spending were missing from the 10-year projection of the budget balance, which attempted to show that the budget's return to surplus hadn't been pushed back a year by all the backdowns in the budget. All this dishonesty just adds to the political class' declining credibility in the eyes of voters. Anyone who's sure they know what's happening in the economy is either a liar or a fool. Last week the Bureau of Statistics' national accounts told us things weren't too flash in the economy up to the end of March. This week its employment figures told us things were looking quite a bit brighter in the labour market up to the end of May. The jobs figures are good news – which is why the media didn't shout about them - but also puzzling news. The two key economic indicators – for the increase in production of goods and services, and for the increase in employment – don't fit together. I wrote last week that real gross domestic product grew by only 2.3 per cent over the year to March, whereas it needs to grow by about 3 per cent just to stop unemployment rising. That general rule remains true, but it's contradicted by this week's jobs figures. Let's step back and look at the movement in the figures over the year to May, and let's get a clearer picture by using the "trend" (or smoothed seasonally adjusted) estimates. They show that total employment grew over the 12 months by more than 200,000 people, with a bit more than half those jobs being full-time. That's an annual increase of 1.75 per cent. Over the same period, the size of the labour force – that is, the number of people either in work or actively seeking it - grew by 1.8 per cent. So employment grew at essentially the same rate that the labour force did, meaning the unemployment rate in May last year was 6 per cent and in May this year is also 6 per cent – something the production figures imply shouldn't have happened. Which is good, if puzzling, news. The best – and even more puzzling – news is that between last May and this May the unemployment rate rose to 6.2 per cent by last August and stayed there for the seven months to February, before falling back to 6 per cent in May. Get it? These numbers make it look very much as though unemployment has peaked and is now falling back a fraction – which I'd have to say may be too good to be true. It's certainly no guarantee that unemployment won't resume its upward climb if, as seems likely, production continues to grow at a below-average rate. Remember that the demand for labour is "derived demand" – it's derived from the growth in the demand for goods and services. As businesses increase their production of goods and services in response to the public's greater demand for them, those businesses need to hire more workers to help increase their production. This is one of the biggest reasons economists (and journalists like me) obsess so much about the quarterly figures for the growth in real GDP. They're the best indication we've got of what's likely to happen to unemployment in coming months (and I, for one, care a lot more about unemployment than about economic growth, as such). When the two indicators are telling us different stories – which isn't all that uncommon – economists have to don their overalls and climb inside the numbers to see what's going on, who's right and who's wrong. I'll keep you posted. Meanwhile, someone asked me this week why there was so much focus on GDP when it was such a poor indicator of our wellbeing. I've just given you the answer: if you care about unemployment you have to care about GDP. But economic growth and our overall wellbeing are quite different things, and every economist will tell you that whereas GDP is (usually) a reasonably accurate measure to use in managing the economy, it's not, and was never designed to be, a good measure of our wellbeing. This is why, some years ago, Fairfax Media commissioned Dr Nicholas Gruen, chief of Lateral Economics, to construct a better measure of wellbeing, the Fairfax-Lateral Economics wellbeing index. The beauty of our wellbeing index is that it's built on GDP, modifying it to turn it into a broader measure of Australians' wellbeing, while leaving it directly comparable to GDP. Last week's figures showed that while real GDP grew by 0.9 per cent in the March quarter, our measure of wellbeing fell by 0.4 per cent. As I wrote last weekend, GDP is only one of the bottom lines that can be derived from the Bureau of Statistics' national accounts. Many economists agree that the broadest and most appropriate bottom line available for Australian households is "real net national disposable income" (nicknamed "rinndy"). The national accounts showed that whereas real GDP grew by 0.9 per cent, rinndy grew by only 0.2 per cent, mainly because falling export prices have reduced the international purchasing power of our incomes. The wellbeing index takes rinndy and adjusts it for various important influences over our wellbeing not taken account of in the national accounts: the change in human capital (the value of our "know how"), the depletion of natural capital (the using up of non-renewable resources, less resources added through exploration), the change in the inequality of income, the change in our health, and the change in work satisfaction (the costs of unemployment, under-employment and overwork). But the change that did most to turn a rise in rinndy of 0.2 per cent into a fall in wellbeing of 0.4 per cent was a sharp rise in long-term unemployment and the consequent increased cost of "skills atrophy" – the longer you're unemployed, the more your skills are lost, to yourself and to the rest of us. If you care about wellbeing, you have to care about employment. Did you see an older bloke with a goatee beard ask Joe Hockey a question about the budget's changes to the assets test for the age pension on the ABC's Q&A program a few weeks back? He was Dante Crisante, a retired chemist, according to a subsequent interview he did with the Financial Review. A lot of relatively well-off retirees have been complaining about the changes, which could reduce or eliminate their entitlement to the pension. They've been wondering what changes they could make to their finances to get around the new rules. Turns out Crisante doesn't receive the pension and says he never wants to get it. Which means that the man who wanted to "end the age of entitlement", and who drew invidious distinctions between lifters and leaners, missed a golden opportunity to congratulate Crisante and hold him up as an example for other comfortably off old people to follow. Maybe put him up for a gong on Australia Day. It's possible, however, that even had Hockey known Crisante didn't have his hand out for a handout, he wouldn't have been game to praise him for his self-reliance. He might have been afraid of offending too many people; too many of his own supporters (not that a Labor politician would have been any braver). The point is, something bad has happened to Australians over the years: we've become a nation of graspers. There was a time when the comfortably off were too proud to put their hand out for the pension. "The pension is for those people who need it. I don't need it, so I won't be joining the queue at Centrelink, thanks." But those days are long gone. These days we display our wealth by the suburb we live in, the flash house we live in, the flash car we drive and the flash clothes we wear. But none of that stops us arranging our affairs so as to claim a pittance more from the taxpayer. I suppose it's a good thing there's now no shame attached to being an age pensioner. But it's gone too far when it means there's no shame in claiming a pension or part-pension you don't really need. And, as I've experienced myself in recent years, there's a whole industry of financial advisers out there these days making their living – a lucrative one, by all accounts – advising older people on how to maximise their call on other taxpayers. Not just how to minimise the amount of tax you pay on your superannuation – how to put as little as possible into the community kitty – but also how to maximise the pension and associated benefits you receive; how to get as much as possible out of the kitty. We do all that, most other people do all that, then we wonder why our governments have so much trouble getting their budgets to balance. We even tell ourselves how worried we are about these governments leaving so much debt to be picked up by our grandkids. Notice how it's always those terrible politicians doing terrible things to our grandchildren. It's never the collective consequences of their grandparents being selfish. Actually, it's funny. An important part of our motive in using our last years to pay as little tax as possible and make the biggest claim on other taxpayers as possible is our desire to maximise our children's inheritance. It's a form of selfishness we see as unselfish. Ripping off the system to help our children. Rip off your fellow taxpayers before they rip you off, a great philosophy of life to pass on. Surprisingly, selfishness is catching. Some people find their children even more anxious than they are to maximise their inheritance. In vain do politicians protest – quietly, and only occasionally – that the billions lost in tax breaks on super every year are sacrificed to help people with their living costs in retirement, not to help the old maximise their kids' inheritance. In the popular reaction to the latest changes to the assets test, angry oldies are talking of finding ways to prevent the government from cutting their pension. Move to a more expensive house, one far bigger than you need or want to look after? Give a lot away to your kids in advance? The government has low limits on how much you can give away each year without reducing your pension entitlement, but that's OK, just lie to the government. Lying to governments isn't really lying, is it? This wouldn't be the first time old people, in their mania for extracting the last dollar of supposed entitlement from the government, have done crazy things. Years ago people would keep thousands in non-interest-bearing cheque accounts so as to avoid reducing their pension. Rather than losing one dollar of pension they preferred to lose two dollars of interest. Volunteer for the big banks to rip you off? Sure. The government had to introduce "deeming" to stop pensioners from self-harming. We've become a nation of graspers. You've been doing good work lately, and the boss is thinking of acknowledging your contribution. How would you like to be thanked? With a bonus, or with some kind of award? If you want the money rather than the glory you'd be in good company. That's how most bosses want their own good work rewarded (and arrange their compensation package accordingly). And it's how almost every economist would advise your boss to reward you. But don't be so sure it is what you really want, what would yield you the most lasting satisfaction. One of the big issues in business - particularly big business - is how best to motivate and reward good performance. Since economics is defined by some economists as the study of incentives, you'd think this was right up their alley. But economics is so focused on monetary incentives that most economists tend to assume away any non-monetary motivations. They'll tell you the best way to "incentivate" people is performance pay: promise them a particular bonus provided they meet the targets you've set on a few "key performance indicators". Apart from that, just pay the good performers more than the poor performers. But there's a lot more to human motivation than that and, fortunately, some economists are starting to take a less narrow approach to the topic. One is Professor Bruno Frey, of the University of Zurich. In a paper with Jana Gallus he discusses The Power of Awards and puts them into the context of other forms of reward. Money is obviously the most common form and it has the great advantage of "fungibility" - you can spend it however you choose. And it can be applied marginally - do a bit more, get a bit more; do a lot more, get a lot more. A second form of reward is non-monetary, but still a material award: fringe benefits, such as a company car or a particularly attractive office. These have the disadvantage of lacking fungibility (I might prefer money to a car), but usually carry a tax advantage. Even a corner office brings me status that isn't taxed. Money and cars are "extrinsic motivators" - you do a good job as a means to getting what you really want. The message is slow to get through to business, but among behavioural economists there's now more interest encouraging "intrinsic" motivation - you do a good job because it makes you feel good. You're good at what you do and you enjoy doing it. You like knowing you've done a lot to help your customers. The way to foster intrinsic motivation is to treat your staff well, of course, but the key is to give people discretion in the way they do their jobs. It's the opposite of trying to tie them up with KPIs. Frey and Gallus say awards fall somewhere between these two approaches - they're extrinsic, but often not material. They include titles, prizes, orders, medals and other decorations. They are ubiquitous in society, if not business. They're widely used in public life (various ranks of the Order of Australia), the entertainment industry (Oscars, Grammys, Logies), journalism (Walkleys, journalist of the year), sport (Brownlow medal, Dally M medal, Olympic medals), academia (fellowships of prestigious scholarly bodies, honorary doctorates, Nobel prizes) and the Catholic Church (canonisation and papal knighthoods). The point is that the many advantages of awards suggest they should be used more in the business world. For one thing, they're cheap to confer, but highly valued by the recipient because of the recognition as well as status they bring - provided you don't give out too many, make them too easy to attain or award them to the clearly undeserving. More significantly, they avoid the drawback of KPIs and performance pay. The authors say such inducements are appropriate only if the performance criteria are precisely determined and measured. But for many complex activities, this is not possible. If it isn't, KPIs encourage what social scientists euphemistically call "strategic behaviour" - gaming the system by performing well only on those dimensions that are measured. Monetary rewards may reduce work effort by crowding out intrinsic motivation, training people to try hard only when there's money to be gained. Why spend time helping a colleague when this might help them achieve their KPIs at the expense of your own? The authors say monetary rewards don't induce employee loyalty. They're a strictly commercial transaction. But awards do encourage loyalty, as well as intrinsic motivation. Overpaid chief executives shouldn't assume their workers are as materialistic as they are, nor should they imagine their firm would do better if their workers' materialistic tendencies were heightened. The economy may have grown faster last quarter than business economists were expecting, but that tells you more about their forecasting ability than the economy's strength. Despite what Joe Hockey says, the numbers weren't all that wonderful. According to the national accounts released by Bureau of Statistics this week, real gross domestic product grew by 0.9 per cent in the March quarter and by 2.3 per cent over the year to March. This, of course, is well below the economy's "trend" (long-term average) rate of growth of 3 per cent a year, the rate needed just to hold unemployment steady in an economy with a growing number of people wanting to work. But that's just the first reason the figures aren't as good as they initially appear. Another - one economists perpetually forget to remind us about - is that we have a population growing at the rapid rate of about 1.5 per cent a year, thanks to high immigration. So we need quite a bit of growth just to stop average income per person falling. Turns out real GDP per person grew by just 0.8 per cent over the year to March. Another thing to remember is that the growth in real GDP - the quantity of goods and services produced in Australia - is just one way, the most common way, of measuring economic activity. It's usually assumed that the growth in the nation's production is the same as the growth in its income. But, first, the assumption breaks down if there's a significant change in Australia's terms of trade - in the prices we're getting for our exports relative to those we're paying for our imports. That's because changes in our terms of trade affect the international purchasing power of the nation's income. When our terms of trade improve, the goods and services we produce are worth more when we buy goods and services overseas; when our terms of trade deteriorate, the stuff we produce is worth less when we're paying for imports. With the prices we received for our mineral and energy exports rising greatly in the years before their peak in 2011, our "real gross domestic income" grew a lot faster than our production, real GDP. Now, however, with coal and iron ore prices falling sharply, our real gross domestic income is growing much more slowly than our production, even falling. In the March quarter, real GDP grew by 0.9 per cent, while real GDI grew by only 0.2 per cent. Over the year to March, real GDP grew by 2.3 per cent, but real GDI fell by 0.2 per cent. This matters because the real value of our income has an indirect effect on future real GDP, which is what drives growth in employment. But a second assumption implicit in our almost exclusive focus on real GDP is that all the goods and services produced in Oz belong to Australians. They don't. In particular, maybe as much as 80 per cent of the value of the minerals and energy we produce and export is essentially the property of the foreign owners of our mining companies. The Bureau of Stats highlights gross domestic product in conformity with international convention. But the fact is we'd be better off using gross national product, which measures how much of GDP actually stays with us rather than going to foreigners in interest and dividend payments. And, because the deterioration in our terms of trade arises mainly because of the fall in prices of mineral exports, real GDI overstates the fall in our income. Real gross national income grew by 0.4 per cent in the quarter, and by 0.6 per cent over the year to March. But, turning back to real GDP and its components, another reason the figures aren't as good as they appear is their heavy reliance on growth in exports. The volume (quantity) of our exports grew by 5 per cent in the quarter and by 8.1 per cent over the year to March. This means exports contributed 1.7 percentage points to our overall growth of 2.3 per cent for the year. That's almost three-quarters of it. Normally, this wouldn't be a worry. But when you remember that most of the export growth came from mining, and that mining is highly capital-intensive, you see there is a worry. It means that real GDP growth of 2.3 per cent isn't contributing as much to employment growth as we usually assume. The figures show that the Reserve Bank's efforts to stimulate growth in the "non-mining" economy are having mixed success. They're working well with investment in new housing, which grew by 4.7 per cent in the quarter and 9.2 per cent over the year. But they're getting nowhere with encouraging non-mining business investment to offset the sharp fall in mining investment. Overall, business investment fell by 2.7 per cent in the quarter and by 5.4 per cent over the year. And get this: fiscal policy (including the budgets of the state governments) is hindering, not helping. Public investment in infrastructure fell by 2.4 per cent, its fifth successive quarterly decline, to be down by 9.1 per cent over the year, which subtracted 0.4 percentage points from overall growth over the year. Consumer spending grew by an improved, but still below-trend, 2.6 per cent over the year, despite weak growth in wages and employment, and a rising tax bite from household disposable income. What's keeping consumption reasonably strong is a falling rate of household saving. It fell from 8.8 per cent of household disposable income to 8.3 per cent in the quarter, down from 9.6 per cent a year ago. It's normal and rational for households to adjust their saving to smooth their consumption spending as the economy moves through the ups and downs of the business cycle. Even so, it's yet another respect in which the numbers weren't all that wonderful. There was one thing I liked about last year's unfair budget. Mesmerised as they were by the Business Council, Tony Abbott and Joe Hockey took leave of their political senses and were unfair to just about everyone, bar the well-off. What's so good about that? Well, it meant the budget's unfair measures were overwhelmingly rejected by the public. No non-government-controlled Senate would ever have passed such measures. It has taken most of the past year but, as we saw confirmed in this year's budget, Abbott has now abandoned or modified most of those nasties. Trouble is – and this is my point – I fear Abbott and Hockey have now reverted to the standard cynicism demonstrated by their Coalition and Labor predecessors over the decades. The fact is, most budgets contain unfair measures or continue unfair policies that should have been corrected, without arousing anything like the outcry last year's did. Why not? Because most governments take care to reserve their unfairness exclusively for the poor and, in particular, for the people many Australians regard as the undeserving poor – the unemployed (who could all get jobs if they weren't so lazy) and sole parents (who are no better than they ought to be). To most Australians, the only deserving poor are the elderly and maybe the physically disabled (provided their disability is clearly visible; anyone with a bad back is obviously a malingerer). The mentally disabled should pull themselves together. Last year, when Abbott proposed to change the age pension from being indexed to wages (meaning it keeps up with incomes generally) to being indexed only to prices (meaning it doesn't) the public was outraged and the government has finally dropped the idea. But the dole has been indexed to prices rather than wages for decades, causing it to fall further and further below the pension, without there ever being sufficient public disquiet to prompt any government – Labor or Coalition – to relent. Governments of both colours have pushed people, mainly women, off the less inadequate "parenting payment" – what in less obfuscating days we called the sole parent pension – onto the more inadequate dole without any great protest from the public. Of course, there are limits to our lack of charity towards the jobless. When, in one of his more notorious captain's calls, Abbott proposed denying every unemployed person under 30 access to the dole for six months of every year, we decided that was over the top. But when the government relented and abandoned the idea in this year's budget, it replaced it with a plan for those under 25 to have to wait four weeks before their dole payments began, rather than the one week for everyone else. Few people noticed, let alone cared. Yet no measure could be better calculated to make survival harder for people dependent on the dole. By the time the four weeks are up, any savings you may have had are gone, meaning that if some large unexpected expense arises you're done for. Last week my co-religionists, the Salvation Army, reported the results of a survey of 2400 people from the 160,000 a year requesting emergency relief. Of those who responded to the survey, 88 per cent were on the dole, the disability support pension or the parenting payment. Only 5 per cent were employed and 4 per cent retired. More than three-quarters were renters and 13 per cent were homeless. Respondents paid a median amount of $180 a week for accommodation, representing almost 60 per cent of their income. That left them with $125 a week – or less than $18 a day – to live on. So their most pressing economic problems were the inadequacy of the benefit payments they received and the lack of affordable housing. But this year's budget contained an initiative that deserves praise. The government has accepted the recommendation of the McClure review that it follow the New Zealanders by adopting an "investment approach" to welfare. The idea is to use methods similar to those actuaries use to estimate risks and set insurance premiums to estimate the total amount of benefits likely to be paid to particular classes of welfare recipient over their lifetime. Knowing how much it's likely to end up having to pay to support someone over the long term provides the governments with an incentive to "invest" in measures that will get them into lasting employment and thus save the taxpayer money. If it encourages governments – and the Department of Finance – to be more far-sighted in their attitudes towards people on benefits, to spend extra money now to save paying more later, and to be more active in fixing people's problems rather than just passively handing out money, it will be a big improvement. If, by quantifying the government's future liability if it fails to help people onto their feet, it encourages the politicians to do more evaluation of how well its programs work, and more experimentation to find what works and what doesn't, it will be a good thing. You never know, it may even encourage politicians to be less cynical in their treatment of the poor and disadvantaged. To see concern about the poor the way someone who grew up in the Salvos would see it. To me, it's way beyond left and right. There's an obvious question mark over this year's budget that the media have yet to highlight: how could the Treasurer announce so many giveaways and backdowns but still claim that "our timetable back to a budget surplus is unchanged from last year"? That's even harder to believe when you remember the $52 billion by which Joe Hockey has had to write down his expected tax collections, thanks to greater-than-forecast falls in commodity prices and slower-than-expected growth in wages. The short answer is that Hockey is stretching the truth, creating illusions and padding his budget. And that's without questioning his forecasts and projections for the economy (as opposed to those for his budget). In truth, his expected trajectory of the budget balance over the next decade is significantly inferior to the one he announced last year. Last year the budget was expected to return to a surplus of about 1 per cent of gross domestic product (say, $20 billion) in 2019-20. This year the budget balance for that year is expected to be just the tiniest fraction on the positive side of zero. In reality, the projections show the budget returning to a noticeable surplus a year later, in 2020-21. Last year, the surplus in 2024-25 was projected to have grown to almost 1.5 per cent of GDP. This year, it's now projected to be less than 0.5 per cent. Next, remember that the impression we were given of a bountiful, "stimulatory" budget was an illusion, the product of media manipulation. Study the budget figures and you see that when the small-business giveaways and more-generous childcare subsidies are seen in the context of all the policy changes made in the budget, the net effect on the budget balance is too small to matter. That's mainly because of the saving of more than $10 billion over the forward estimates that the government will make by abandoning its earlier decision to introduce more-generous paid parental leave, plus its new decision to exclude big business from the cut in company tax. The third factor that makes the revised projections for the budget balance look less bad than they actually are is that they've got a lot of padding in them. For openers, there's what my colleague Peter Martin calls the "zombie measures" – measures announced in last year's budget that aren't alive because the Senate has rejected them, but aren't dead because they're still being counted in the forward estimates. These include university fee deregulation, changes to family tax benefits and the discretionary increase in the pharmaceuticals co-payment. Then there's the projected $80 billion saving over 10 years from moving to stingier indexation of grants to the states for public schools and hospitals. These need no Senate approval, but are so tough on the states that the Feds are almost guaranteed to have to water them down. 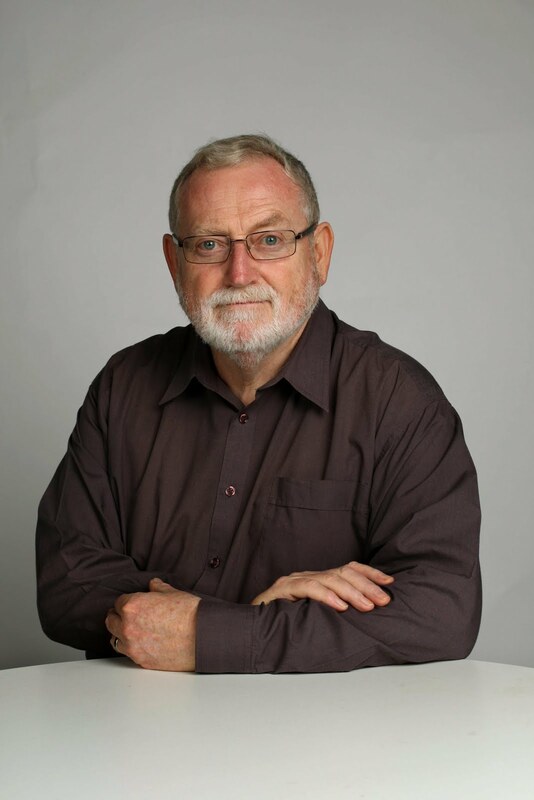 John Daley, of the Grattan Institute, has pointed out that real growth in government spending is budgeted to average only 1.1 per cent a year until 2017-18. "This would be remarkable restraint given long-term growth is more than 3 per cent each year," he says. "It would be particularly remarkable in a period that spans an election year." Just a small part of this Herculean achievement would rest on the plan to claw back a grant of $1.5 billion from Victoria because the new government has refused to proceed with the East West Link. Good luck. Another tiny part would come from the calculation that the "no jab, no pay" policy of denying benefits to parents who don't get their kids immunised would save $500 million over four years. This is nonsense, based on the (usually sensible) rule that measures are costed without allowing for any change in behaviour they may prompt. But this measure is intended to change behaviour, forcing parents to get the jabs so they keep the pay. To the extent it works, it will cost the government money (for more jabs) and save it nothing on benefit payments. The budget's costing assumes it will be a total failure, which is unlikely. Saul Eslake, of Bank of America Merrill Lynch – who, along with former econocrat Dr Mike Keating, wins the prize for most diligent examination of budget entrails – has noted a change in the accounting rules so that, from 2020-21, the annual net earnings of the Future Fund will be counted as budget revenue, not as an increase in the balance in the fund. More trivia? Not quite. Eslake estimates that this seemingly petty change will account for more than half of the budget surpluses projected for 2024-25 and 2026-26. These books have been cooked.